A lively CV with playful colours. 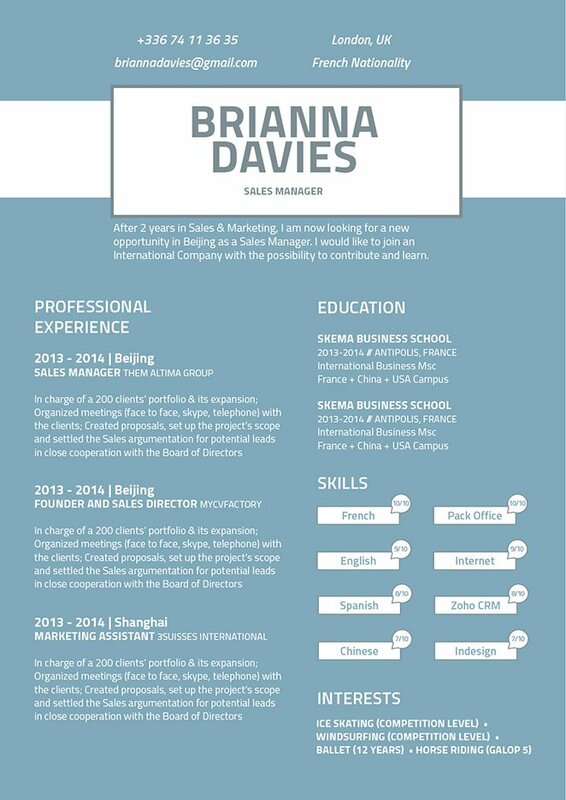 CV template to download "Discreet"
The Discreet resume does a perfect job in showcasing all your job qualifications! 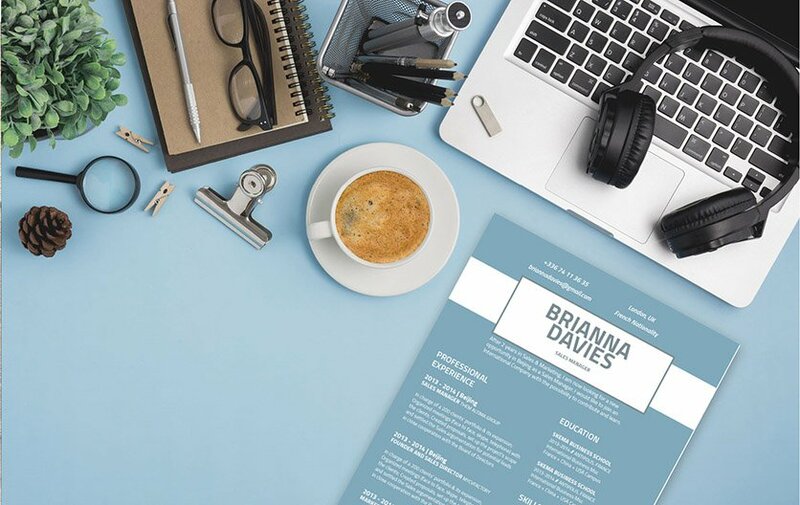 This professional resume templates features a creative selection of colors, shapes, and texts that work perfectly with each other to formulate a resume design that is eye-catching and comprehensive. With its modern and professional layout, this is one resume template that is applicable to all job types, and will surely impress your potential employer. This resume will be your ticket to landing that dream job! How to build a resume that perfectly grabs the attention of your potential employer? Simple—it's by having a comprehensive and effective resume. That resume of yours can just be the ticket to that dream job! One of the major factors in a good or even perfect resume is how well its layout and overall look is created. Typically, in-coming resumes are scanned for 10-30 seconds—it doesn't get a full reading the first time around! So it's important that you create a resume format that is well organized and easily understandable. To achieve this, use professional looking fonts such as Seriff or Helvetica, limit your font size between 11-12, and use italic/bold font styles to help guide your potential employer's eyes in reading your resume. This will essentially make your resume clean, easier to read, and more attractive.